I’m a fan of quick and simple cards. Sometimes those over the top cards are just too much. Same thing when it comes to pattern paper. Wild, crazy designs and bold colors are usually not my thing. 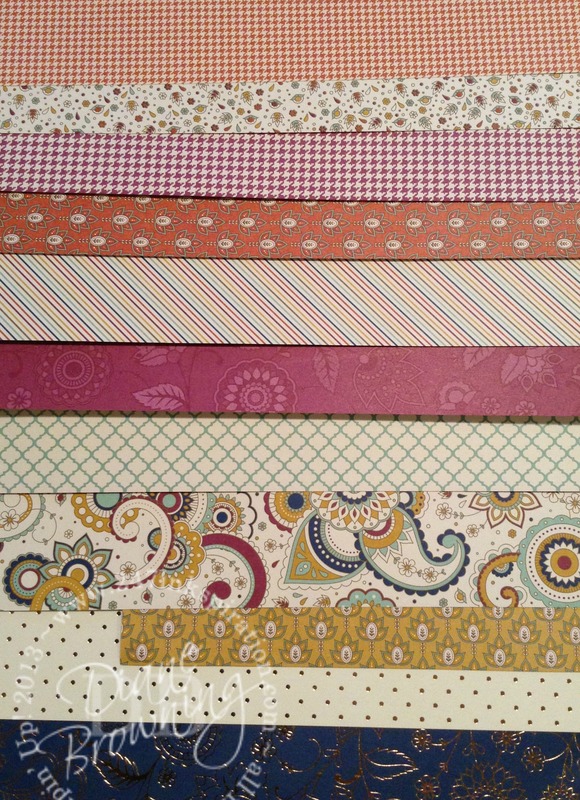 I had to see the new Petals and Paisley’s Designer Series Paper in action before I ordered it myself. I’ll admit, some of these patterns are just not me. That’s ok though because every sheet is 2-sided. I may not be fond of those giant paisley’s, but the reverse side is just fine. For today’s card, I used two of the more plain patterns and stamped my own background to tie it all together. The tone-on-tone stamping helps blend it all together. I do like the Mint Macaron color with the Delightful Dijon and it’s not a combination I would have paired together. The circles are all the same size and arranged underneath the main focal point. I love to use ribbon on my card, but sometimes I get tired of using it the same way all the time. On this card, the ribbon is just folded in half and taped to the back of the main image. I hope you enjoyed today’s Five Minute Friday card. Comment below with what your favorite sheet is from this pack and I’ll use it on my next card. Today is the end of the month and that means the Host Code for September will end today and a new Host Code will appear for October. Wondering where you can find the Host Code? The current Host Code will always appear right below the Order Online link on the right sidebar. And don’t forget to keep track of your 24-7 Ink Rewards. For every $50 online order (pre-tax and shipping) you place, you get one punch. Once you have 8 punches, contact me to request your free stamp set. See the link above (24-7 Ink Rewards) for the full details. October is going to start off with a bang. 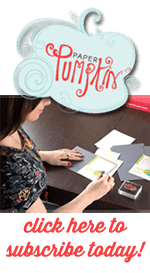 Tomorrow is actually World Card Making Day and to celebrate, Stampin Up is giving us several new specials. But wait! There’s more… This one is good all month. The Paper Pumpkin BOGO special is available only through October 10th. You pay for the first month and the second month is free when you sign up for an ongoing subscription. If you sign up now, your first kit will be October’s, and you will get November free. Just click the link on the left and it will take you to my Paper Pumpkin website to register for your subscription.